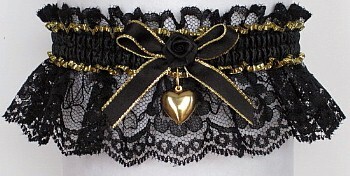 Black & Gold Garters with a Gold Charm. 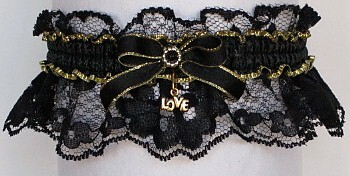 Moiré & Greek Key Fancy Bands™ Garters on Black Lace. 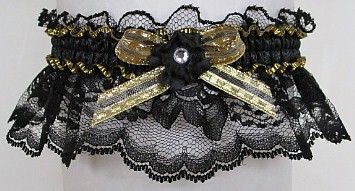 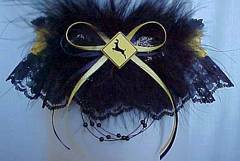 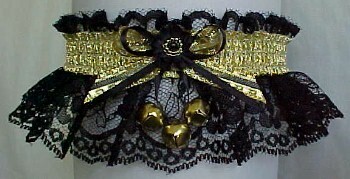 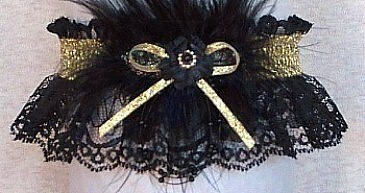 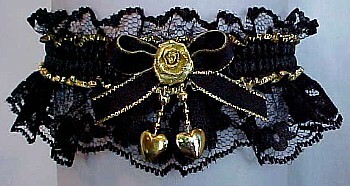 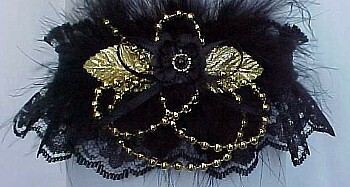 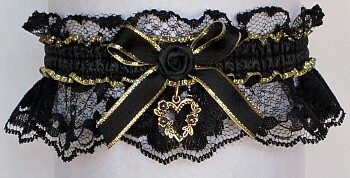 Garters in Black and Gold for Wedding Bridal Prom or Fashion. 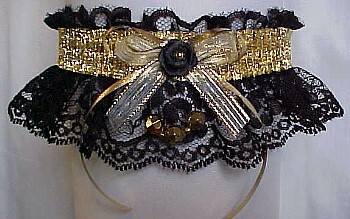 Fancy Bands™ Garters Official site. 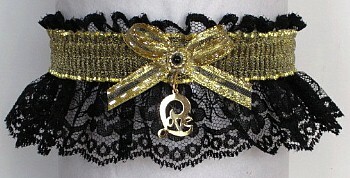 Unique Greek Key Fancy Gold Garters.